Students of IUE Folk Dance Club shared the stage with zeibeks with Down syndrome. The performance of Zeibek team of Izmir Down Syndrome Association attracted great attention. 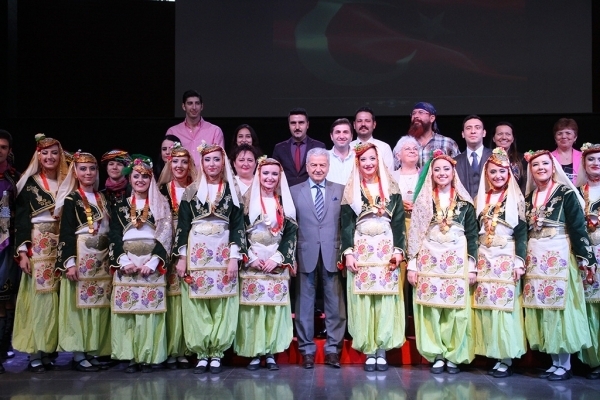 Dokuz Eylül University “Anadolu’dan Esintiler” Group, coached by Trainer Hayat Atak, also took the stage at the performance coached by Trainer Halis Altıntaş. More than one thousand 3 hundred people attended the event including Ekrem Demirtaş, President of IUE Board of Trustees and Rector Prof. Dr. Can Muğan. The students presented Demirtaş and Prof. Dr. Muğan plaques for their support. “12. 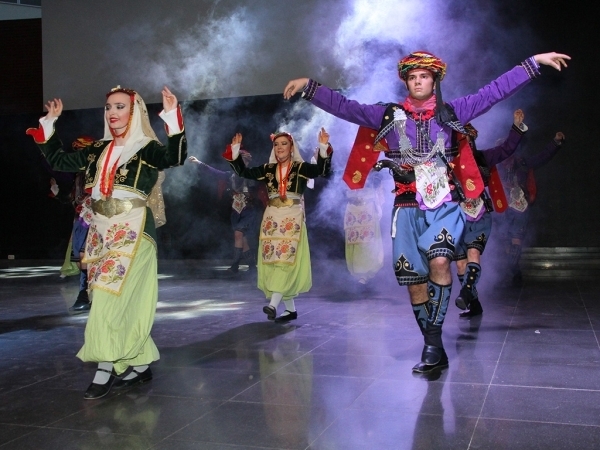 Ekonomiden Kalbe, Kalpten Dansa” titled event mesmerized the audience with performances of IUE Folk Dance Club from Zeybek, Anamur, Antep, Kafkas, regions and oriental and gypsy dances.